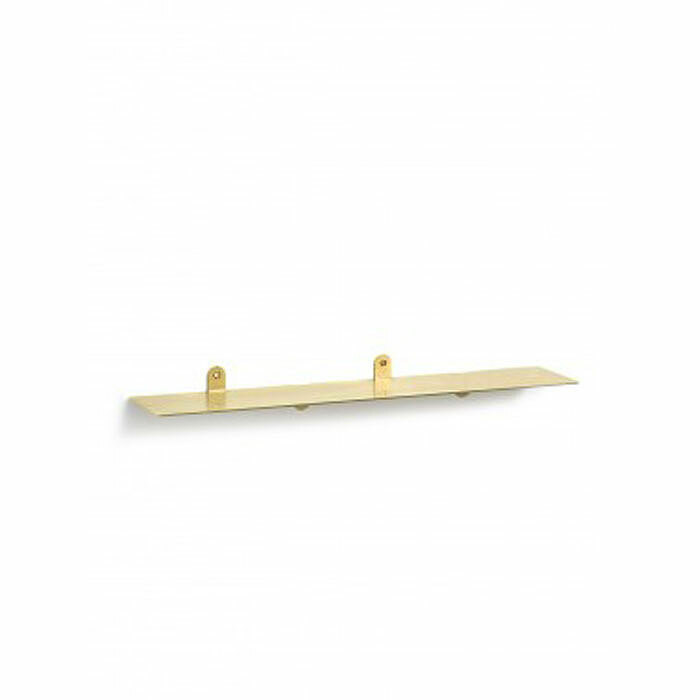 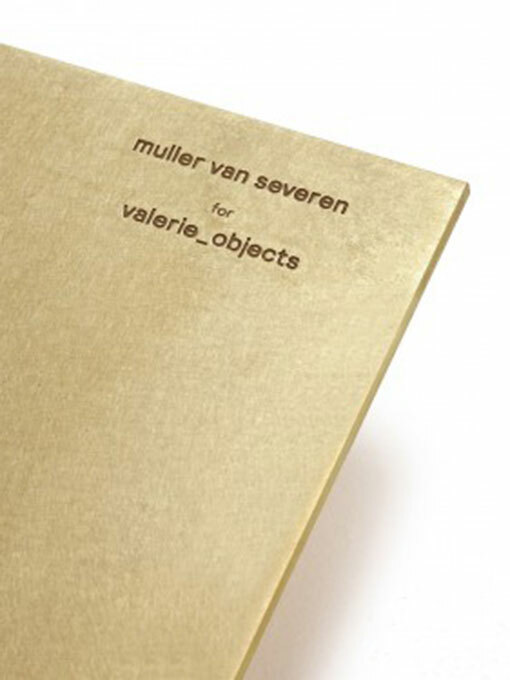 Muller van Severen takes the shelf back to its bare essence and adds a luxurious piece with this shelf n°1 in brass. 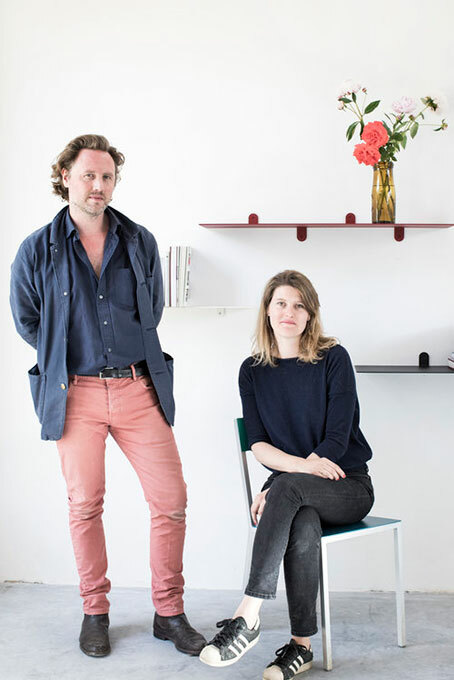 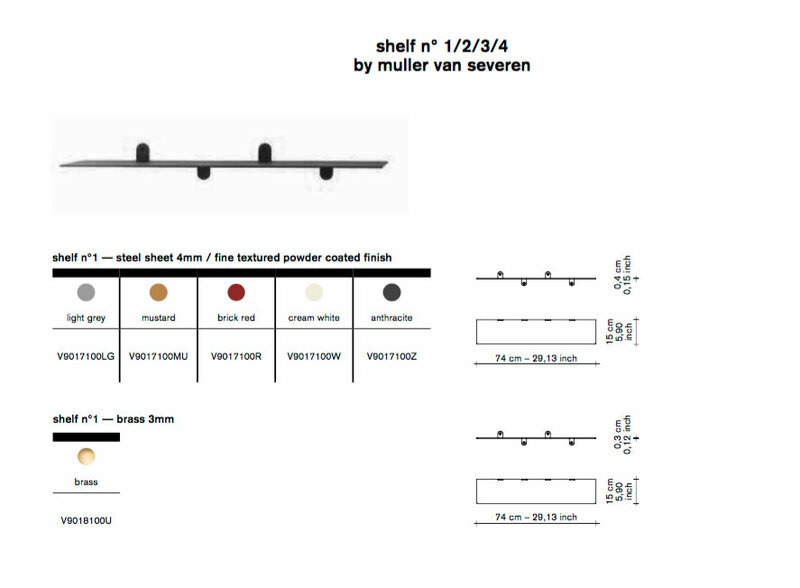 After designing highly stylized cabinets, tables, chairs and others, Muller Van Severen now tackles the most elementary of furniture: the shelf. 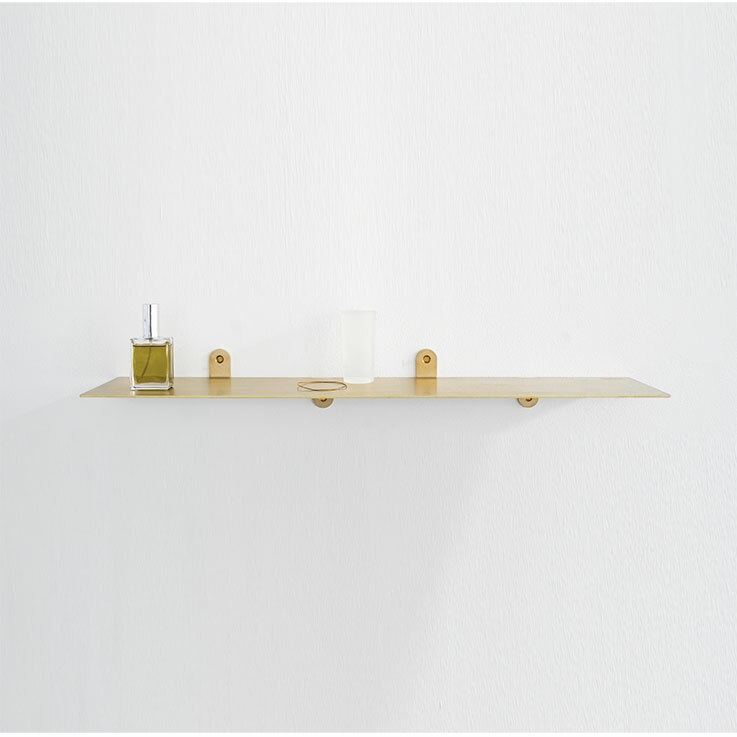 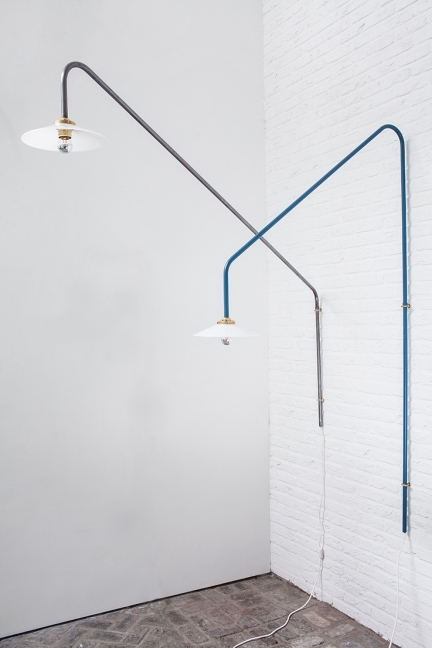 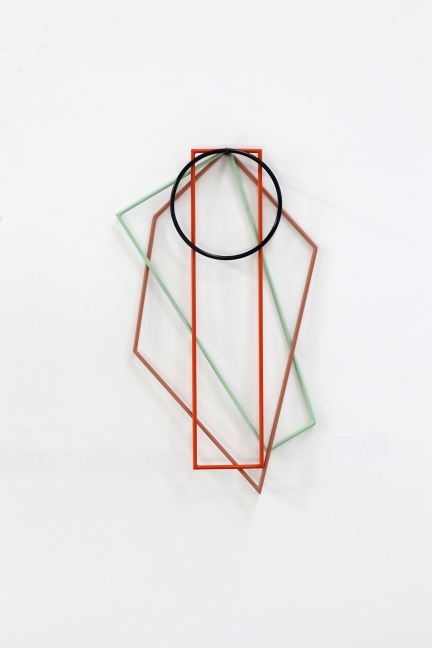 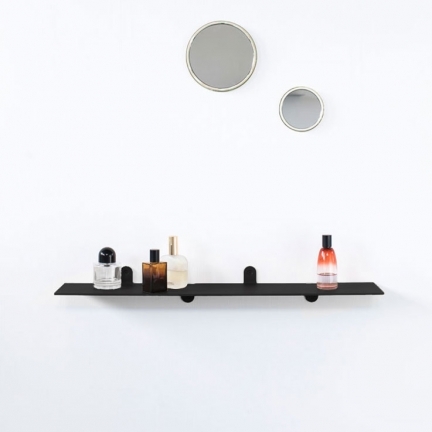 With shelf n°1/2/3/4, a series of four pieces with varying lengths between 75 centimeters and two meters. 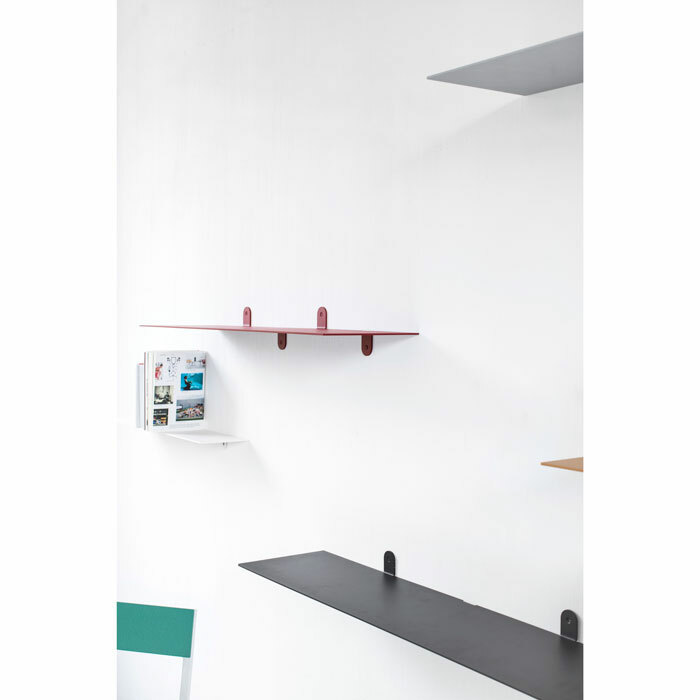 Shelf consists solely of one steel plate and nothing more. 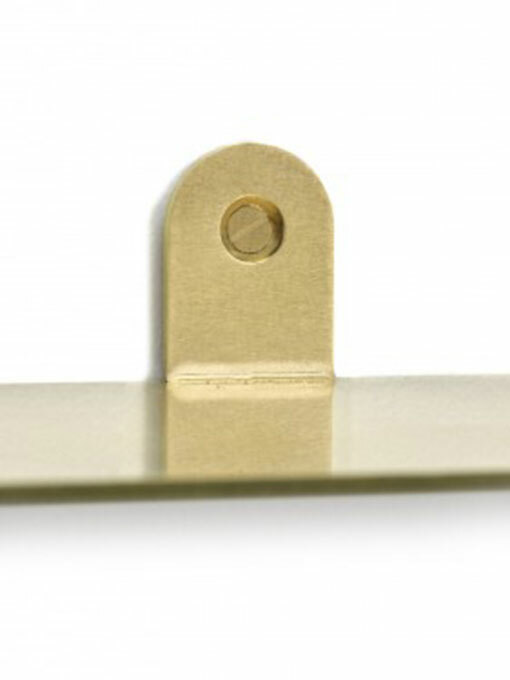 Even the brackets are laser-cut flaps on the edge of the plate itself, folded upward and downward, discarding any visual obstructions.